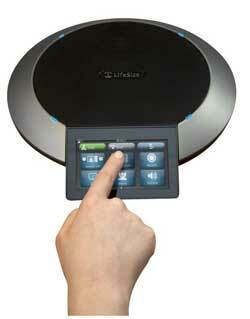 The LifeSize® Phone™, 2nd Generation puts the power of HD video and audio conferencing at your fingertips. This intuitive touchscreen phone is so simple and intuitive that anyone can use it. No longer the need for a separate remote control to control your video or audio conference – The LifeSize Phone makes video communication in the meeting room effortless. 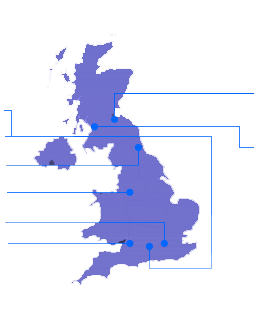 Control cameras, share presentations, change screen layouts, place calls and add new callers through a name based directory all via the touch phone. The Lifesize Phone combines simplicity with superior audio quality to deliver the highest quality and engaging video and audio communications to your meeting room. With advanced beam-forming technology and 360 degree microphones, everyone in the conference room can be heard, no matter where they are sitting. And with the highest levels of frequency response achieved with using a large, acoustically suspended speaker enclosure, it’s as if every meeting participant is sat across the room from one another. The Lifesize Phone pairs perfectly with the Lifesize Icon Series and Lifesize 220 Series Video Conferencing systems. Bring together the Lifesize Icon with the Touch Phone and Lifesize Cloud, and gain a total conference room experience with best-in-class desktop and mobile applications and features such as Cloud Amplify for professional recording and streaming.